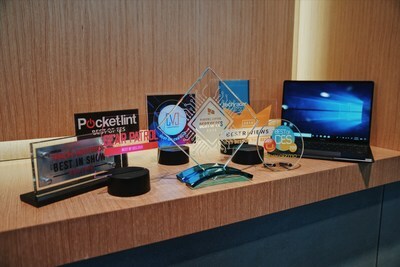 PLANO, Texas, Jan. 17, 2019 /PRNewswire/ -- Following the U.S. launch at CES 2019, the HUAWEI MateBook 13 won eight "Best of CES" awards and made four "Best Laptops at CES" lists, while the MediaPad M5 lite won one "Best of CES" award and was included on Chicago Tribune's "Products that Wowed Us At CES" list for a total of 14 recognitions. Huawei smartphones, PCs, tablets, wearables, mobile broadband devices, and device cloud services are available in more than 170 countries and used by a third of the world's population. Huawei ranks 72 among the Global Fortune 500 list and is the number two smartphone and number three tablet maker globally. With 30 years of telecommunications experience and 15 R&D centers located across the United States, Germany, Sweden, Russia, India and China, Huawei is delivering the latest in technology and user experiences. For more information, please visit: http://consumer.huawei.com/us.